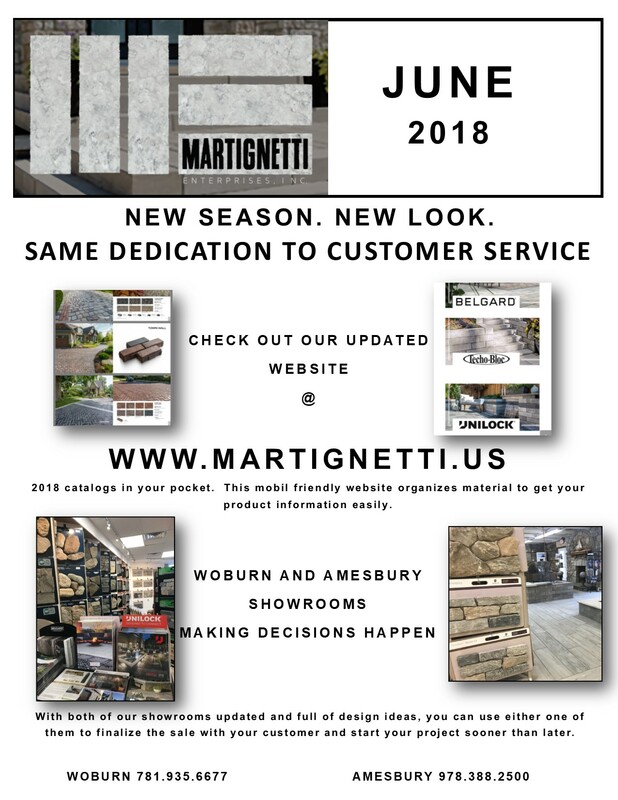 June 2018 | Martignetti Enterprises Inc. This New Season. New Look is reinforcing our dedication to customer service. The Website and showrooms have been updated and redesigned to help enhance your customer service experience. We do all we can to make your masonry and hardscape construction projects come together quickly, efficiently and beautifully.